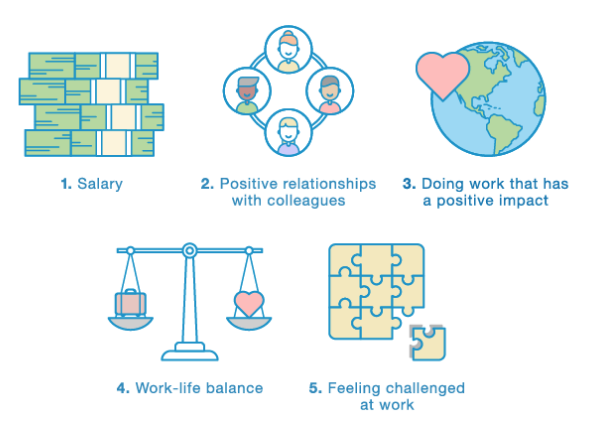 LinkedIn surveyed over 1,000 US professionals to determine their level of job satisfaction and found some interesting results. Apparently, Charlotte has the most satisfied white collar workers with 65% of them feeling fulfilled at work. Charlotte is followed in the most satisfied list by Boston, Indianapolis, New York City and Denver. The survey also looked at age ranges and didn’t find much of a difference in fulfillment between age groups. Interestingly, young people age 16 – 24 were the most fulfilled (58%). Perhaps that’s because the full brunt of life and all of its bills hasn’t caught up with many of those in this group just yet.